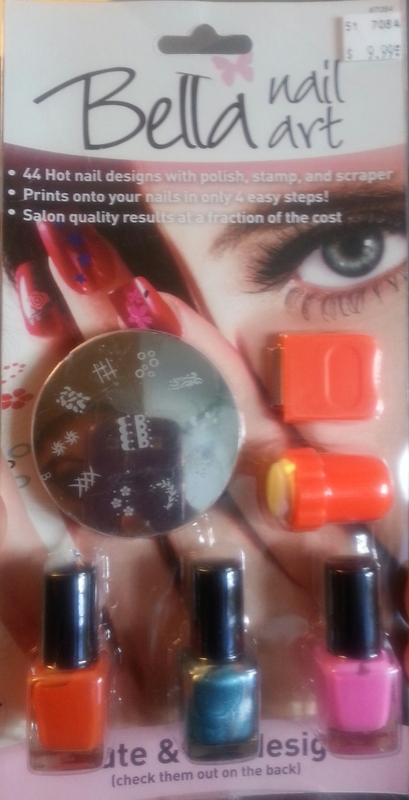 So a friend recently purchased Bella nail art kit (for $9.99) from Showcase (As seen on TV store) and then passed it on to me to try out. I’m down for being a guinea pig especially when it comes to DIY. Plus, it seemed pretty straightforward; paint your nails, apply some nail polish on your desired design, scrape it and stamp it on. Flash ’em around (nonchalantly – maybe play with your hair or something) and soak up the compliments. Coat nail polish on the pattern plate. 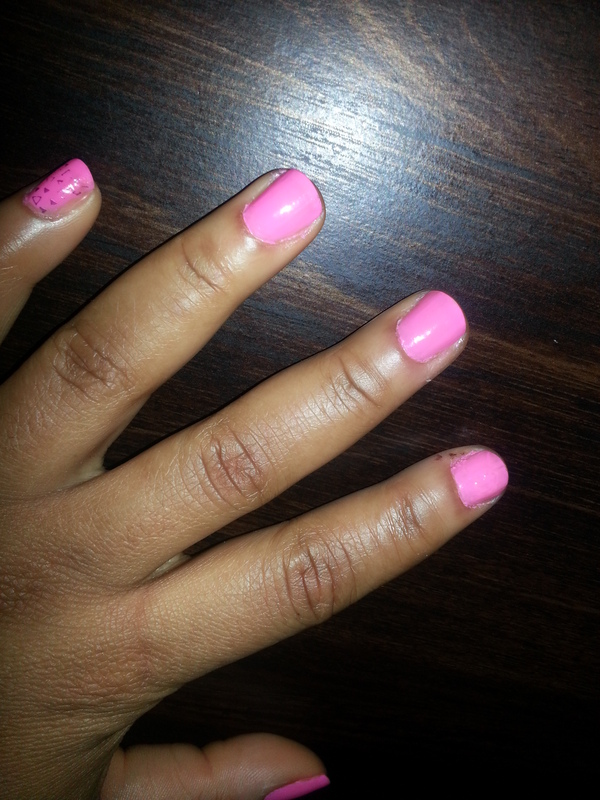 Scrape off the excess nail polish quickly. 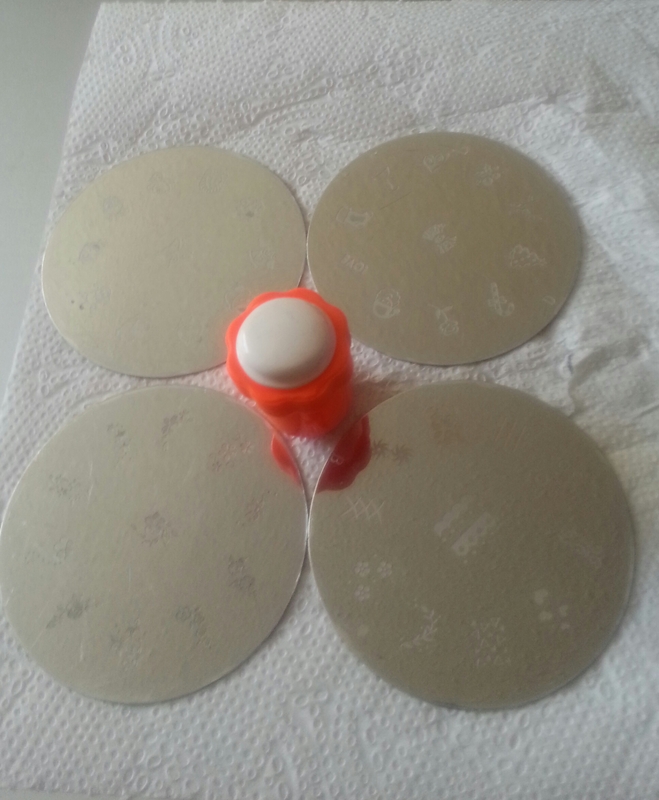 Stamp your pattern quickly from the pattern plate. Stamp your pattern onto your fingernail. And then VOILA! Seems easy enough, no? My nails should look like the chick in the picture, right? So WHY wasn’t it working?? 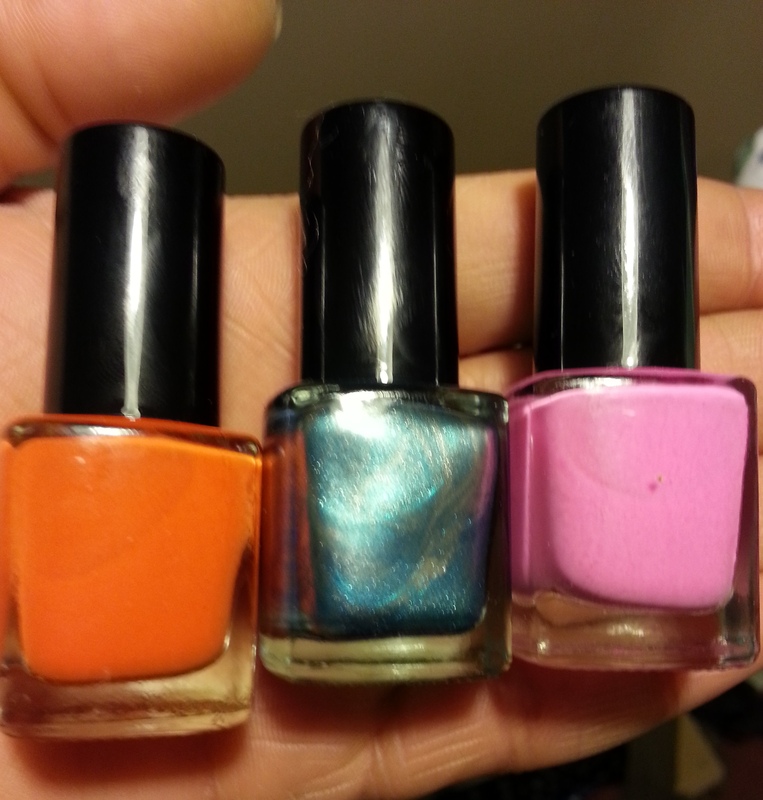 I will say this, though; the nail polish goes on beautifully and dries like a dream. It gives that shiny salon polished appearance like uv gel or shellac was applied on top. It even got me a compliment while I was paying for my groceries. But the designs? I swear I was doing this process right. It wasn’t quantum physics, for heavens sake. And I was beyond excited there was a leopard print. But the print just isn’t defined enough. I didn’t want to continue on all the nails (if you look closely at the pinky, it has a splotch of a design on it) because they looked so nice. Okay, that’s cool – let’s take two. I’ve never been a quitter and I want cool nails for a fraction of the cost! okay… hang on… they’re a little better but… maybe third time’s a charm? Before you say anything, I know these also look a mess (WHAT happened to my pinky???) but that’s what I get for trying this during the Grammy’s (see TNL’s commentary here). I liked the colour once again, and left my other hand undone. Dude, I was SO over this. The designs (most of them I wouldn’t wear, probably 3 of the 44) could be etched a little deeper; by the time I scraped off the excess, I was scraping off the polish that should have been left behind in the design. Ya feel me? I decided I should give this bad boy ONE more try, so onto the third attempt…. Crap – this is really stressing me out – just ask Ash. I tried on bare nails and the designs stayed better, but that was not picture worthy because it looked dull and was still messy. 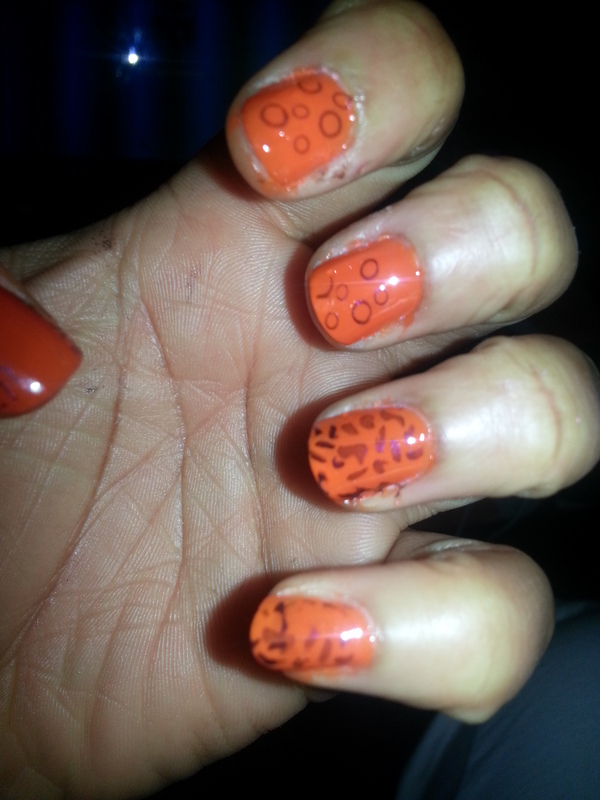 At this point I’d rather continue practicing the freehand designs than waste pretty nail polish. Basically you need to have a lot of time to do this with perfection, or spend a little more money and get a better kit. Have you tried these nail design kits and liked it? If so, which one? Please, share your thoughts! Thanks Vann – at least I tried. I don’t have the patience, but the colours really are great. I’m wearing the pink again today, and have gotten so many compliments! I consider myself a fairly crafty person, but nail art is a whole other thing! It’s so tricky. I don’t get my nails done by professionals very often, but I treated myself to a nice manicure and pedicure a few birthdays ago, and the girl used a teeny tiny paintbrush and her own deft hand to create a beautiful hibiscus design on my toenail…even with the same brush and colours, I’m not sure I could re-create it myself though. Thanks for the report! Seph – those girls make that stuff look so easy! Have you ever watched the nail designs on youtube? They lie! But I shall continue trying for I shall prevail. I would love to continue doing this stuff myself and not have to spend as much money at the salon, but maaaaannnn,,,,, Thanks for reading! So I take it this was a fail? Oh well, I have 3D nail art for you to try 🙂 Round 2!